Do you know what types of books Mike Tyson likes to read? 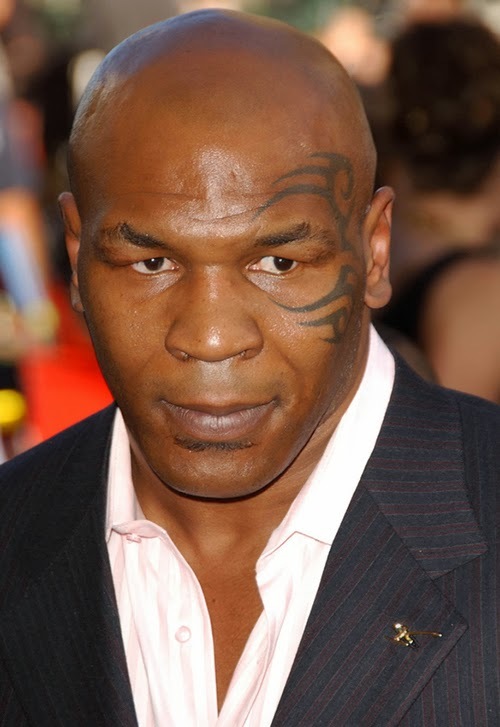 Most people upon hearing the name "Mike Tyson" have all kinds of images running through their head. But did you know that he is a well-read man? In fact, reading what he loves to read gives me a headache! LOL Read on to find out some of his favorite subjects! I'm currently reading "The Quotable Kierkegaard," edited by Gordon Marino, a collection of awesome quotes from that great Danish philosopher. (He wanted his epitaph to read: "In yet a little while / I shall have won; / Then the whole fight / Will all at once be done.") I love reading philosophy. Most philosophers are so politically incorrect—challenging the status quo, even challenging God. Nietzsche's my favorite. He's just insane. You have to have an IQ of at least 300 to truly understand him. Apart from philosophy, I'm always reading about history. Someone very wise once said the past is just the present in funny clothes. I read everything about Alexander, so I downloaded "Alexander the Great: The Macedonian Who Conquered the World" by Sean Patrick. Everyone thinks Alexander was this giant, but he was really a runt. "I would rather live a short life of glory than a long one of obscurity," he said. I so related to that, coming from Brownsville, Brooklyn. What did I have to look forward to—going in and out of prison, maybe getting shot and killed, or just a life of scuffling around like a common thief? Alexander, Napoleon, Genghis Khan, even a cold pimp like Iceberg Slim—they were all mama's boys. That's why Alexander kept pushing forward. He didn't want to have to go home and be dominated by his mother. In general, I'm a sucker for collections of letters. You think you've got deep feelings? Read Napoleon's love letters to Josephine. It'll make you think that love is a form of insanity. Or read Virginia Woolf's last letter to her husband before she loaded her coat up with stones and drowned herself in a river. I don't really do any light reading, just deep, deep stuff. I'm not a light kind of guy. NOTE: My sincerest thanks to my friend Jimmy M. for the heads up! Thank you for your comment and totally agree! Sadly many people can't get past the image the media portrayed him as, and also of his past misdeeds (guilty or not).